Good Day, Fans of Luscious-Locked (actors of) Norse Gods! 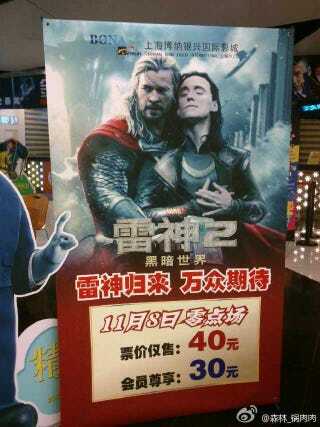 It's probably already on your FB feed, but ICYMI, a Shanghai cinema used a (slashy*) fan-made poster on accident instead of an official (het) one. *or fraternal. Whatever flips your pancake.